Acacia Sweet Dreams Baby is back in stock! All your favorite colors have arrived including the fabulous self-flowering, solids, long self-striping and now a simple fleck of color! There are lots of new colors and patterning to choose from! 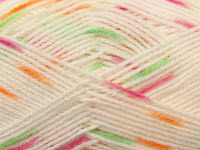 Sweet Dreams Baby comes in a generous 384 yard skein and is the nicest acrylic yarn that we have come across! This yarn is perfect for everyday garments, afghans and blankets, hats and other items that will be cherished by the wearer for man years! 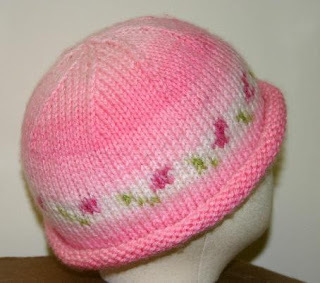 A perfect example of the self-flowering colors is shown in the Ivy Brambles Classic Perfect Fit Baby Hat Pattern #38. This classic and simple baby hat is knit without ribbing on a US #7 providing a loose gauge for a very comfortable fit. Pattern comes with fitting instructions for a perfect fit for your baby! The Yarn and Fiber Company Summer Clearance Event Continues!!!! 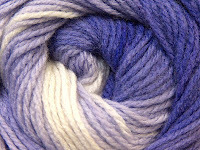 Now on sale, select yarns, buttons, needles, notions and garments! Visit our new clearance area to find great deals on your favorites! 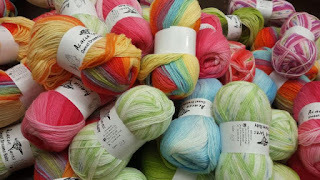 As you know, we only carry the highest quality yarns and items - so our clearance area rocks!!!! Our garment sale continues - we are adding more garments daily as we come across them in the store.... all of the garments for sale are originally displays for the store - the yarns for these garments have sold out and now the garments are just waiting for a new home! ﻿Select garments are now on sale from top yarn lines at 50% off their original price! 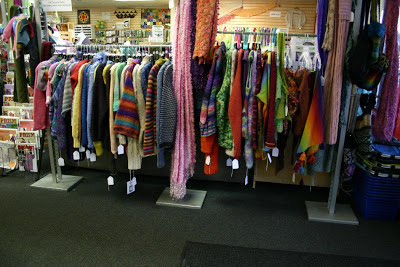 Get a garment for less than the price of the yarn - already knit or crocheted. Come in and get one of your favorites! Garments will be posted on-line as the weekend progresses. Check back often and remember these are all one-of-a-kind items! On clearance, Susan Bates, Boye, Inox and Prym in-stock products are 30% off! 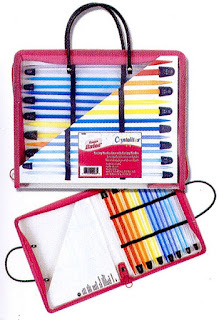 We offer many different products from the Susan Bates line including straight, circular and double point needles, point protectors, Tunisian hooks, needle and crochet hook sets and much more! Bonnie Maresh Buttons are a beautiful way to complete your hand made garment! Have a Bonnie Maresh original on your garment now for 25% off regular retail! Lots of styles to choose from and all of them are gorgeous! Looking to be inspired? We have added hundreds of new patterns to our Free Patterns Link on the website all available for instant download! Be inspired to start a new interesting project today! July 14: Save the date for an upcoming Hand-Dye event! 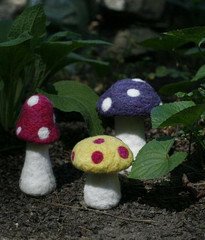 Sunday, July 14 the Yarn and Fiber Company will host a special hand-dye event! Come and make your own unique yarn colorway! We will announce more events for the upcoming weeks as they finalize! We are looking forward to a summer full of learning new things and inspiring all to try new fiber related things! The Yarn and Fiber Company Summer Clearance Event Has Begun!!!! Have a great day and Happy Fibering! Garment Sale has Begun, Baby Lamb Wool Wash and Susan Bates 30% Off!!! The Yarn and Fiber Company Garment Sale has begun! Select garments are now on sale from top yarn lines at 50% off their original price! 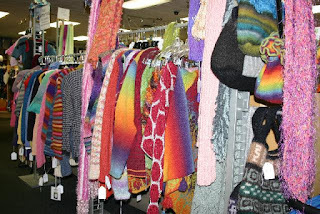 Get a garment for less than the price of the yarn - already knit or crocheted. Come in and get one of your favorites! Garments will be posted on-line as the weekend progresses. Check back often and remember these are all one-of-a-kind items! Just in time for Spring cleaning of your fine wools and delicate hand-made garments. 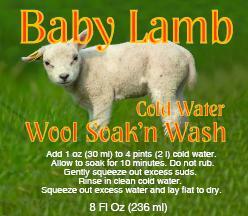 We have just received a shipment of Baby Lamb Wash. Baby Lamb Cold Water Wool Wash 8 oz bottle. Each bottle contains enough for at least 8 washes. Hand wash in cold water, do not rub. Rinse in clean cold water. 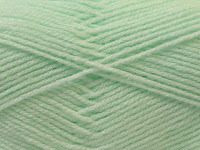 Baby Lamb Cold Water Wool Wash is specially formulated for delicate items and will help your delicate items resist fading and shrinking while being washed. Use Baby Lamb for all your wool items. On special through June 14th - all Susan Bates, Boye, and Prym in-stock products are 30% off! 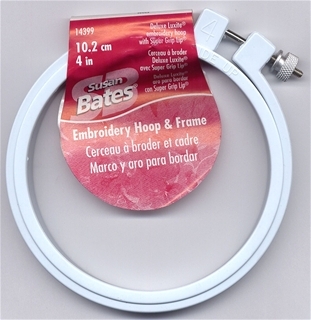 We offer many different products from the Susan Bates line including straight, circular and double point needles, point protectors, Tunisian hooks, needle and crochet hook sets and much more! Save the date for an upcoming Hand-Dye event! 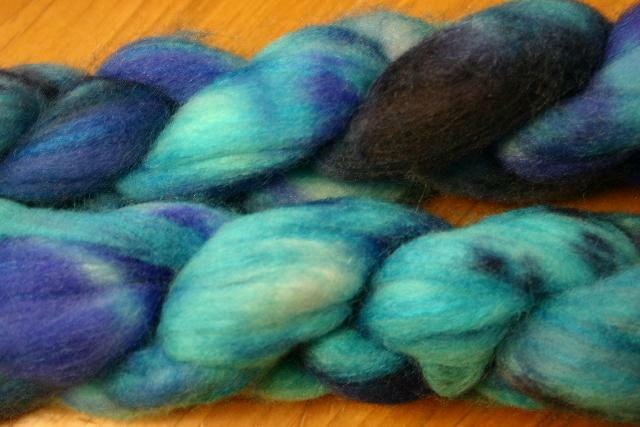 Sunday, July 14 the Yarn and Fiber Company will host a special hand-dye event! Come and make your own unique yarn colorway! Have a great day! A Walk on the Beach Shawl, Gnomes Move In, New Rovings and Susan Bates In-Stock Products 25% off! 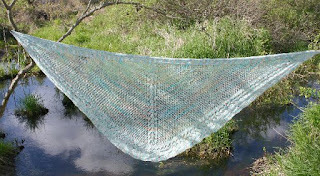 A new shawl pattern graces our shop model - A Walk on the Beach is beautiful and gracious. This easy to knit lace shawl is made with one skein of Ivy Brambles Romantica Lace Yarn. 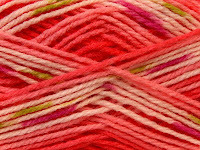 Shown in colorway Day at the Beach. 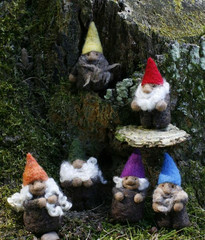 The Gnomes have arrived - and they are really cute! 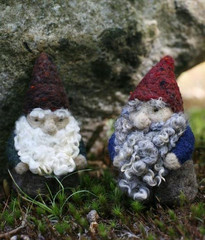 We have kits for big gnomes, small gnomes, mini gnomes and things that you would find with a gnome like mushrooms, cute owls and flocks of sheep. Each kit contains the necessary felting materials, detailed instruction sheet and felting needles to complete your project. Very cool! 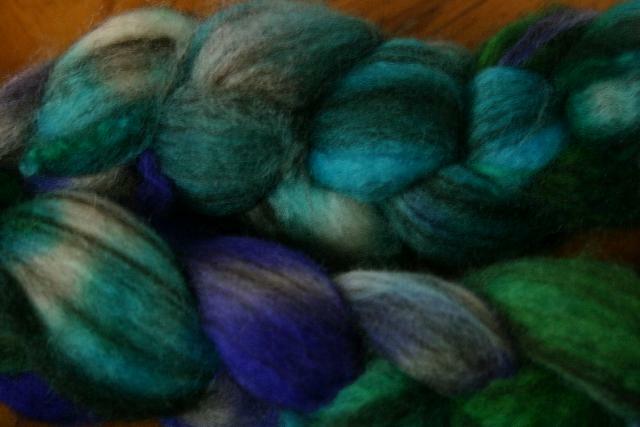 New colors of roving and farm fibers have arrived! 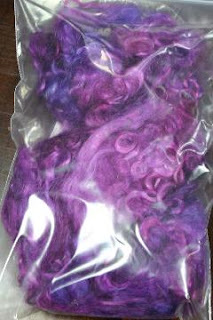 Beautiful colors of merino wool, bfl, as well as merino and silk blends are here from Spunky Eclectic and Ivy Brambles. 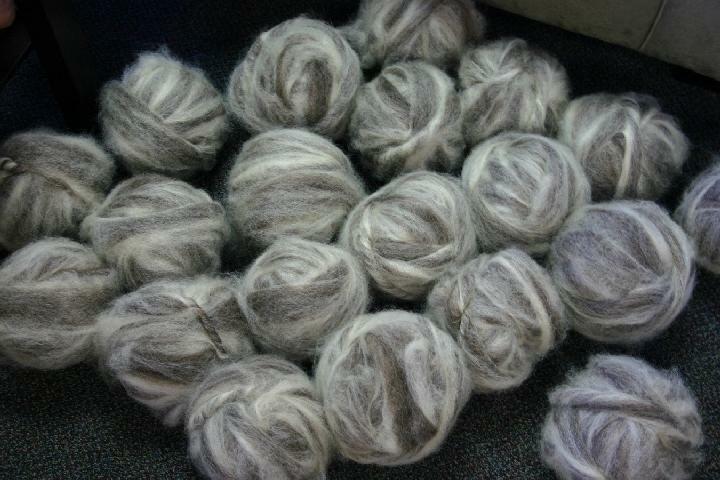 Also, we now have a some gorgeous natural Romney sheep balls that spin up like a tweedy dream! 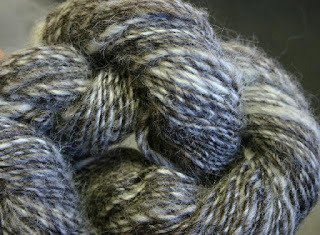 This ready to spin Romney is from a local farm in Massachusetts and is blended using two colors of Romney. The effect is spectacular! And, need some curly locks? We have them for you in both Border Leicester and Mohair. Some are natural, some are dyed - so whatever your preference, we have them for you! The Border Leicester locks are light and fluffy and come from two beautiful sheep raised in on a Massachusetts farm by a bright and energetic 14-year farmer name Terrance. They won blue ribbons and best of show this past weekend. The mohair comes from a wonderful farm in NH from three beautiful goats who love to be pet! On special through June 7th - all Susan Bates in-stock products are 25% off!